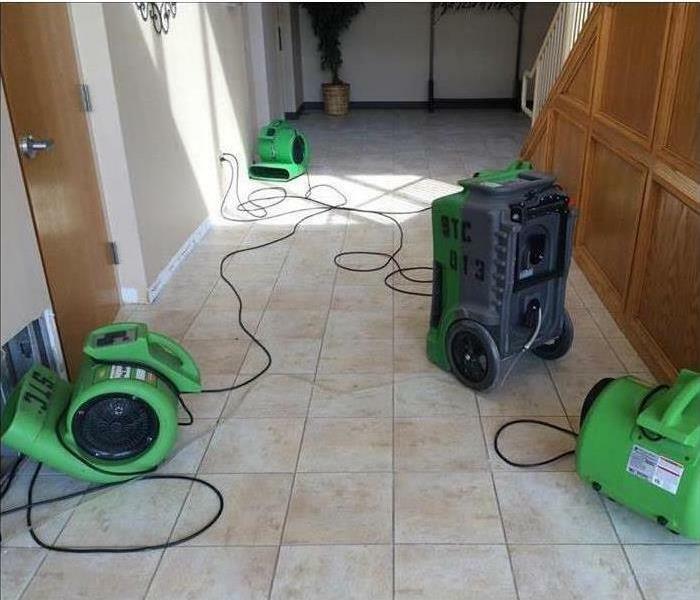 SERVPRO ofEl Cajon specializes in storm and flood damage restoration. Our crews are highly trained and we use specialized equipment to restore your property to its pre storm condition. 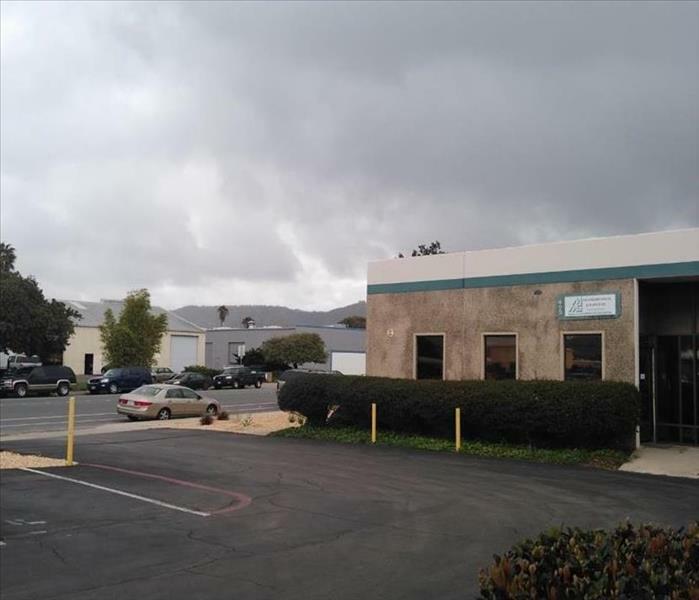 When storms hit El Cajon, CA, we can scale our resources to handle a large storm or flooding disaster. We can access equipment and personnel from a network of 1,650 Franchises across the country and elite Disaster Recovery Teams, that are strategically located through out the United States. Have Storm or Flood Damage? Call Us Today SERVPRO Of El Cajon 619-447-7776 We will come in and make it look "Like it never even happened." A waster damage, even one that is small or not covered by your insurance policy, can become a big problem if not handled correctly. Before you undertake the cleanup yourself, consider the risk. Undetected moisture whether it has soaked into the walls or seeped under the flooring can result in the need for costly structural repairs or mold remediation in the future. Sometimes these damages are found much later. DO NOT risk doing the cleanup job yourself. Call your local SERVPRO Professional, at 619-447-7776 a member of a nationally known organization trusted by over 600 insurance companies nationwide, to handle fire and water cleanup and restoration claims. Providing 24 hour emergency service, a highly trained SERVPRO Professional will arrive at your facility quickly to ensure your building and contents are thoroughly dried and protected. We here at SERVPRO understand the difficulties when disaster strikes. We will come in and make it look "Like it never even happened." During the night while everyone was a sleep and not a creature was stirring. The toilet supply line decided to take a dump. So throughout the night the supply line was leaking and water leaked out to the point were there was an inch of water throughout the living room, the dinning room, the kitchen, and foyer. SERVPRO was called and we dispatched Will and Ryan. When they arrived at the address they were surprised to see how much water there was from a toilet supply line. "How can it do so much damage". They immediately took action and extracted up the water, leaving the customer a little satisfied. Will and Ryan ended up setting a total of 27 air movers and 3 dehus. The owner was thrilled and stated "This place looks amazing and you guys did a wonderful job".125 We got in and we got out and made it look "Like it never even happened." This home suffered from a water damage, which was due from a pipe leak coming from the air conditioner. As a result it led to damages to the flooring in the kitchen and dining room area. This home owner wanted to save as much carpeting as possible to restore it if it was possible at all. SERVPRO of El Cajon was to do this successfully thank to Chuck our owner of SERVPRO. The team were able to savage the carpet by removing the pad and pacing the fans underneath to dry out. 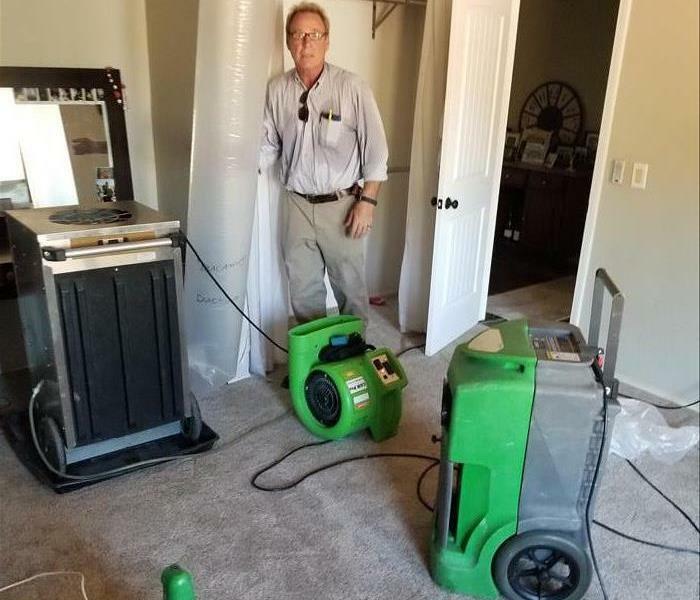 SERVPRO of El Cajon came in and took action "Like it never even happened." the attic, kitchen and dinning room area never looked this good. Customers were proud and happy with out services. Should you have a water loss, contact SERVPRO of El Cajon at (619) 447-7776. We are open 24/7 and would love to help you through this experience. 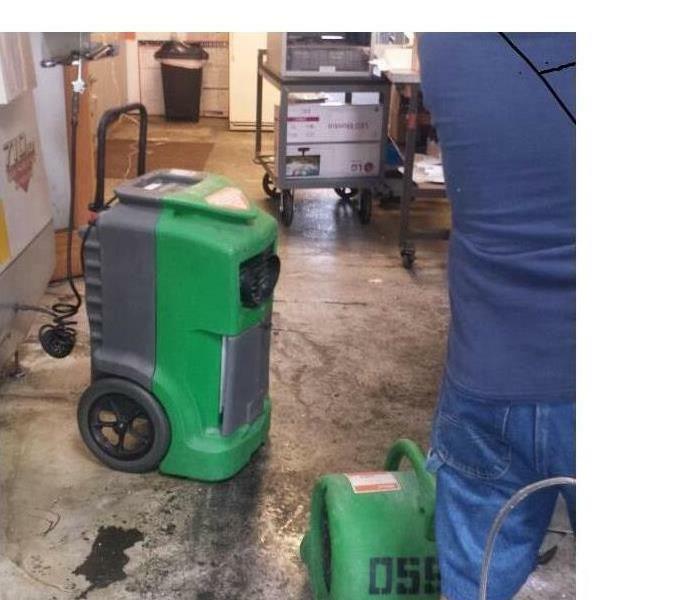 On this job a main water broke and caused the one business to affect 4 other businesses. SERVPRO of El Cajon was called out to clean up the after math of five businesses. At the end the owner was impressed with how timely we finished and how organized we were. The most common factor leading to a water break is wear and tear. The average life span of a water main is 60 years, some may last a lot longer and some may leak earlier. Another common reason for a water main to leak before reaching the 60 year point is shoddy plumbing. 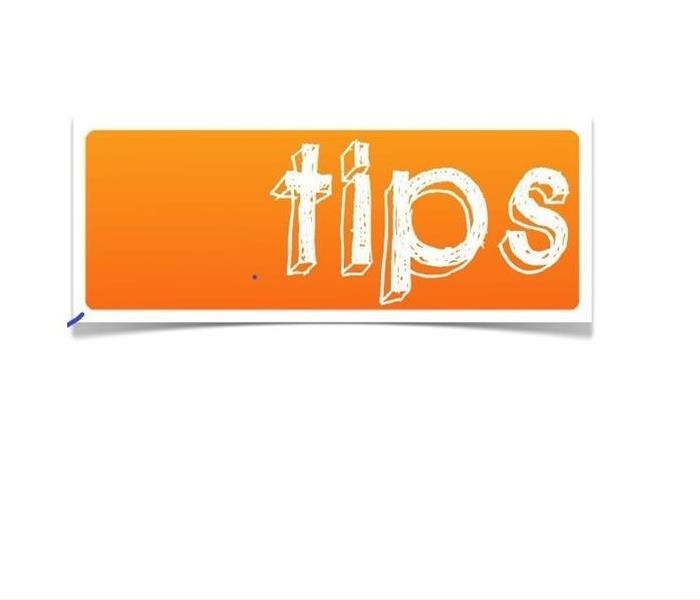 The prior contractor may not have installed the pipe properly, or may not have used the adequate fittings when connecting to the city main or the piping inside your home. This picture show the equipment being set up to start the drying process after all water had receded. Sam had a mold problem in his mother in law home. 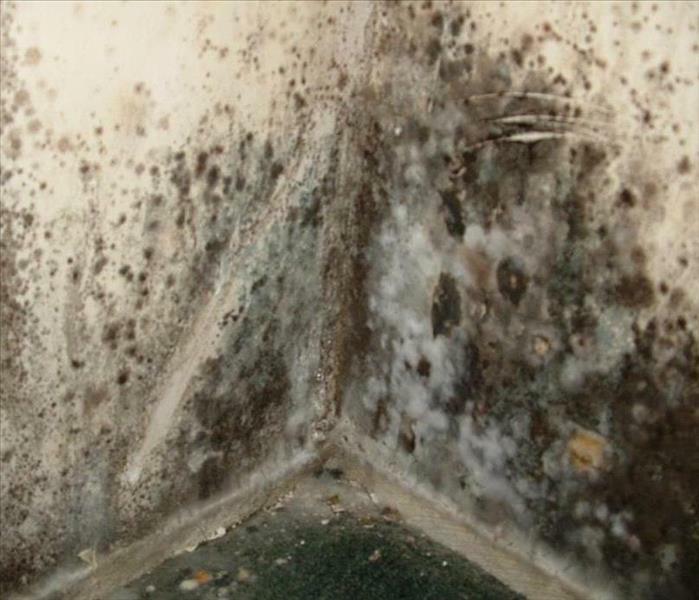 Mold was growing under the home from poor air flow which was causing mold to grow up through the walls and floors. Sam called his insurance and they referred him to SERVPRO of El Cajon. Will our technician was dispatched out. Will arrived and immediately called for his team. They got to work right away removing mold affected materials. Once materials were removed we called air quality testing. All results came back passing and the customer was thrilled. Sam stated " The employees of SERVPRO are very knowledgeable and helpful. They did not mind me asking many questions all the way through the project, they explained everything in great detail!" Will came in and took action and made it look "Like it never even happened." Biohazard clean up can be a challenging work that does requires technicians to handle potentially hazardous materials such as blood and body fluids, and proper handling of the crime or trauma scene is crucial to the safety of everyone involved. SERVPRO of El Cajon follows a six step process to ensure your home is properly remediated. Assessment: We walk through the site and create zones to prevent cross-contamination. Bio Removal: This is the most dangerous step as we remove all visible blood, body fluids, and compromised materials. Preparation: Remove carpet, furniture, dirt, dust, etc. in preparation for disinfecting. 3-Step Biowash: This involves cleaning, disinfecting, and deodorizing. Path of Extraction: We use the same 3-step process to disinfect the pathway around and out of the home. Site Breakdown: Disinfect all equipment and properly dispose of biohazard containers. 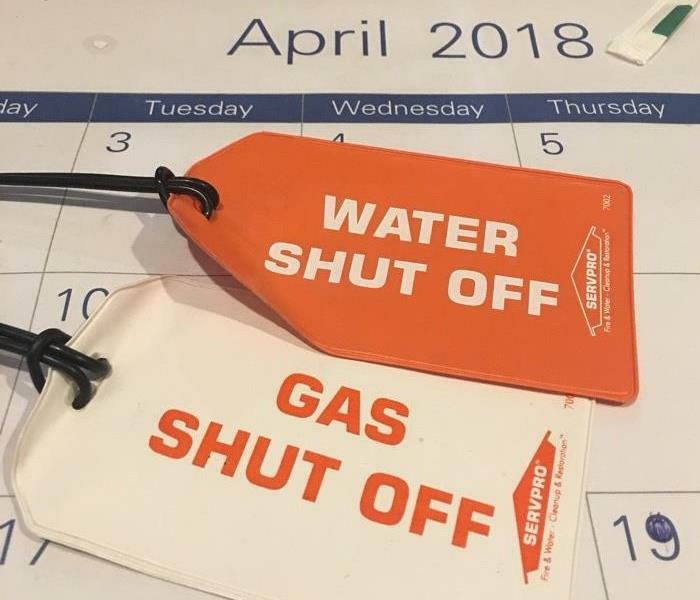 3/4/2019 - When fire or water take control of your life, we help you take it back.